Our baby clothes arrived last week and I couldn't wait to email. 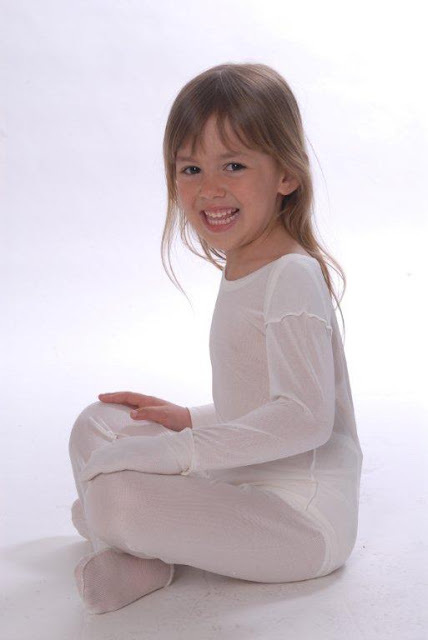 This was my daughter before and after us using her DermaSilk clothing at nights. 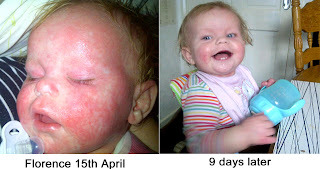 She is a different baby, we had endless problems trying to get her to eat and she was under the hospital not just for her skin but for food too as she was loosing weight and showing no interest in life or food. Five days on and I have a new child, she's funny, full of beans, eating and showing an interest in food, hers and ours. She plays and acts like a 9 and a half month old should. We all sleep at night which is the first time since she developed bad skin. At baby clinic this morning we clocked up a weight gain and our HV was so amazed she had tears in her eyes at the transformation. Thank you from the bottom of my heart, our GP has now ordered her a second set and had his eyes opened to the miracle of DermaSilk. This was such a huge change in Florence, and the impact it has made to Mum, Dad, her Home Visitor and her GP, just brought a lump to our throats. In fact we were so knocked out that we contacted Florence’s mum to see if she would allow us to share her story with others who may be in a similar situation, so they could also benefit from her experience. We said we would make it anonymous to respect her privacy and that of Florence, but her reply speaks for itself…..
We have already started telling half the planet about Florence and have posted her pics on lots of different parenting forums so feel free. We are not concerned about blanking out bits as we are happy to share our experience with everyone who wants to listen. (And she makes such a lovely model hehe) Florence completely agrees well she would if she wasn't in the land of DermaSilk sleep. Sorry I sent so many photos but I wanted you all to get a complete picture of the difference. We are so thrilled and hope the improvement continues. I am going to order a pair of leggings for my 11 year old as she is getting so scarred from many years of picking. 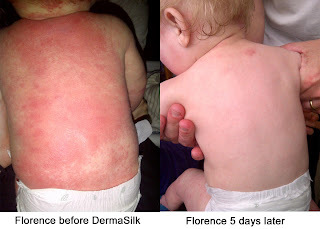 It’s such a heart warming story and really brings home just how much eczema affects the lives not just of the children but mums and dads as well, and as her HV and GP have seen the huge change for themselves, I am sure they will be prescribing DermaSilk so all their other eczema patients can look forward to getting relief from their condition as well. 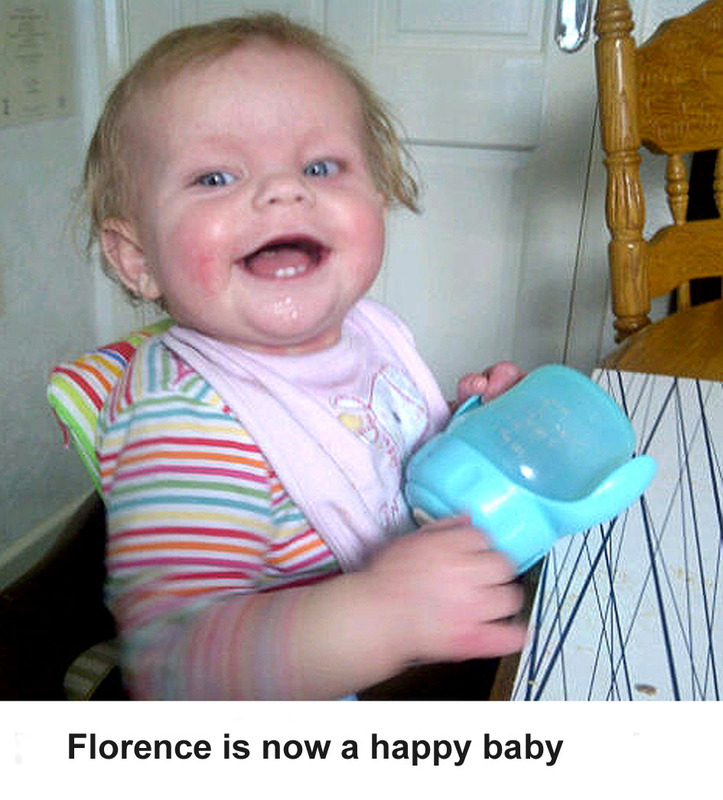 It’s also immensely rewarding for us when we hear stories like Florence. It underlines what we have believed since the day DermaSilk was developed; it’s far more than just a treatment for eczema, it really does change people’s lives!